The red variety comes from Greece, Synonyms are Agiomasto, Agoumastos, Azoumastos, Kalavritino Mavro, Kalavrytino Mavro, Mavro Kalavritino, Mavro Kalavrytiko, Rouge de Zante and Zante Rouge. It may be based on apparently suggestive synonyms or morphological Similarities not with the variety Psilomavro Kalavryton (Kalavritino) be confused. The parentage is unknown. About a possible connection to the white species Agoumastos Lefko nothing is known. The picture is a bit confusing, because after the name one expects dark-colored or black berries (mavro = black). 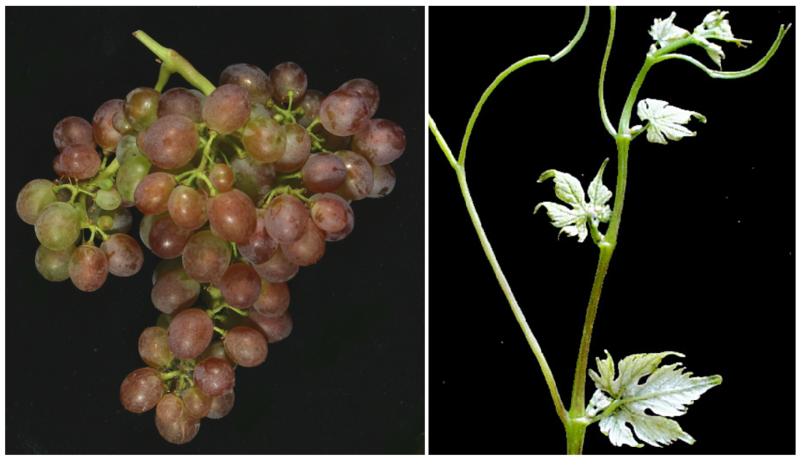 The late-ripening vine is sensitive to Botrytis but resistant to both mildews, It produces ruby-red, tannin-rich red wines with aromas of cherries, spices and violets. The variety is found in the mountains of Egialia and in Kalavrita in the northwest of the peninsula Peloponnese in 700 to 850 meters above sea level, among others, from the three wineries Cavino, Mega Spileo and Tetramythos grown under the name Mavro Kalavritino. In 2010, however, was no stock (not even under Mavro Kalavritino) expelled (Statistics Kym Anderson ). This page was last modified at 8 February 2018 at 16:41.